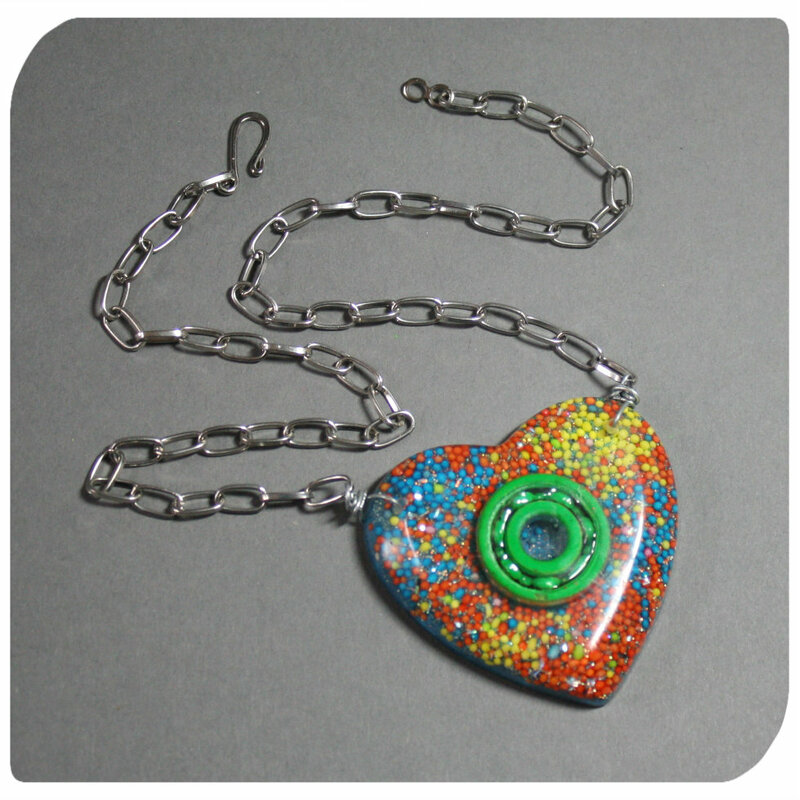 An awesome necklace made with a hand cast heart shaped pendant, measuring 2" x 2". 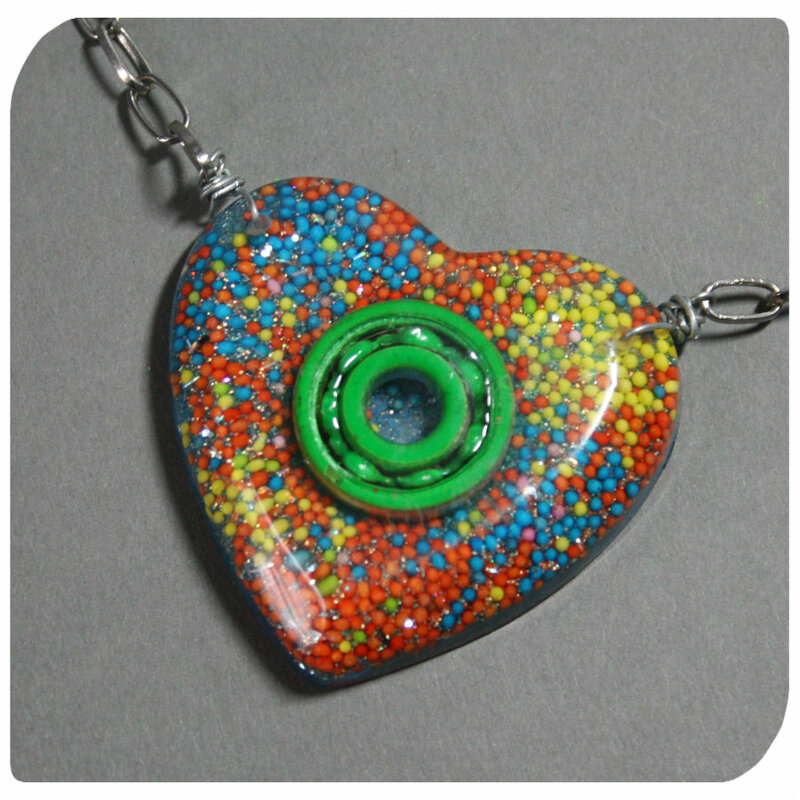 It contains a neon green bearing, with a background of neon nonpareil sprinkles and some fancypants glitter. The pendant is suspended from an oval link silver chain, and the total necklace length is 18".